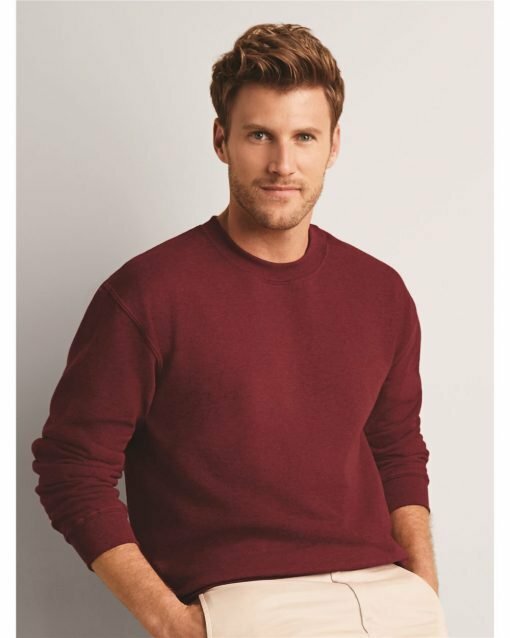 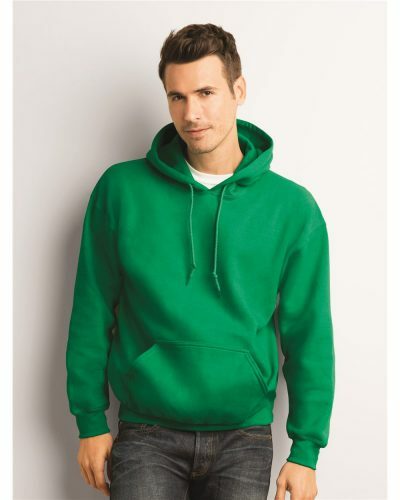 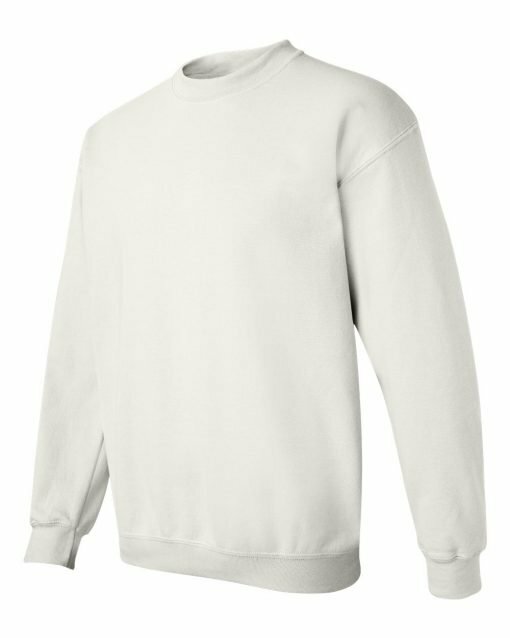 The Gildan 18000 is a 8.0oz. 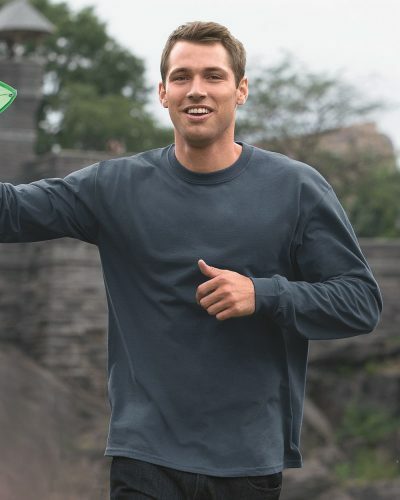 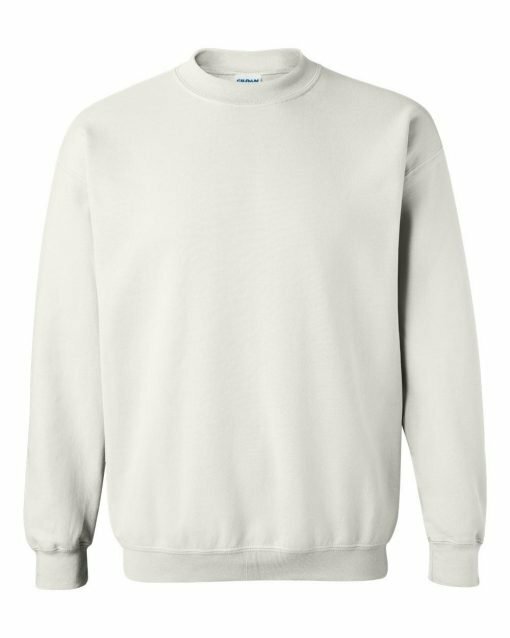 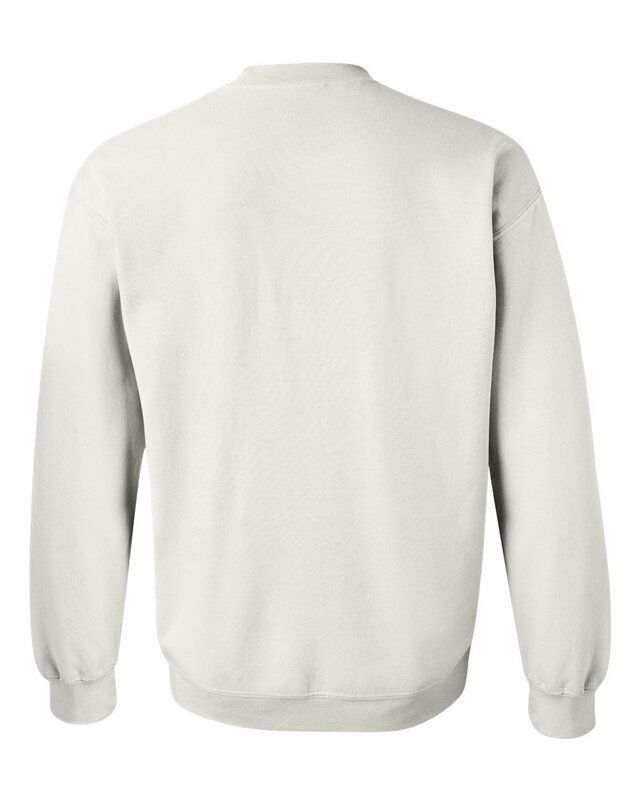 pre-shrunk 50/50 cotton/polyester crewneck sweatshirt. 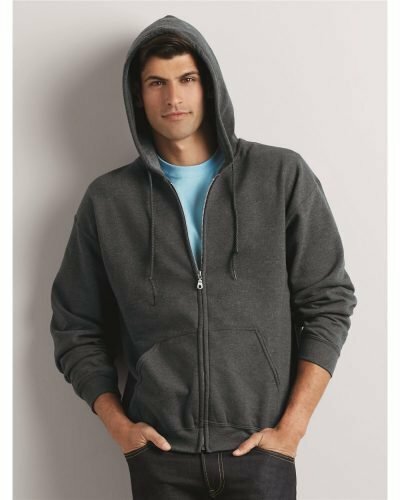 It has a satin label, double-stitched cuffs and waistband, and soft air-spun yarn to reduce pilling.